Biography – Dr. Alper Erturk is an Associate Professor (promoted to Professor in 3/19 – effective 8/19) and Woodruff Faculty Fellow in the G. W. Woodruff School of Mechanical Engineering at Georgia Institute of Technology, where he leads the Smart Structures and Dynamical Systems Laboratory. His theoretical and experimental research program is centered on the intersection of smart structures and dynamical systems for various interdisciplinary problems spanning from nonlinear energy harvesting and bio-inspired piezoelectric actuation to metamaterial-based vibration attenuation and wireless acoustic power transfer. Prior to his current (tenured) appointment, Dr. Erturk was an Assistant Professor (2011-2016) of Mechanical Engineering at Georgia Tech and a Research Scientist (2009-2011) in the Center for Intelligent Material Systems & Structures at Virginia Tech. He has published more than 200 articles in archival journals and conference proceedings, and 4 book chapters. He authored a book entitled Piezoelectric Energy Harvesting (Wiley, 2011 & Chinese Edition, 2015) as a product of his dissertation and relevant research during 2007-2010, and co-edited another book on Advances in Energy Harvesting Methods (Springer, 2013). His publications have received more than 11,000 citations (h-index: 48) according to Google Scholar. Dr. Erturk’s group has made theoretical and experimental contributions in the fields of vibration energy harvesting, bio-inspired underwater locomotion using flexible piezoelectric composites, phononic crystal-based wave tailoring and enhanced structure-borne wave energy harvesting, low-frequency vibration attenuation using locally resonant metamaterials, modeling and identification of nonlinear nonconservative dynamics of piezoelectric structures, exploiting intentionally designed nonlinearities for frequency bandwidth enhancement, leveraging size effects and strain gradient-induced polarization in elastic dielectrics, and wireless acoustic power transfer. His share of externally sponsored research at Georgia Tech is more than $2M, out of a total project budget that exceeds $3.5M. He was a recipient of the 2015 (inaugural) and 2017 ASME Energy Harvesting Best Paper Awards. Several of his graduate students (S. Zhao, S. Shahab, S. Leadenham, C. Sugino, S. Tol, D. Tan, Y. Xia – separately) received Best Paper Awards in the ASME IDETC and ASME SMASIS conferences in the last decade. Dr. Erturk is an Associate Editor for Smart Materials & Structures (IOP), Journal of Intelligent Material Systems & Structures (SAGE), Journal of Vibration & Acoustics (ASME), and Journal of Energy Engineering (ASCE). 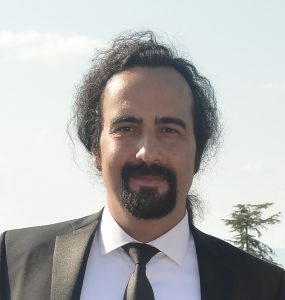 He received his BS (high honors) and MS degrees in Mechanical Engineering from METU (Ankara, Turkey) in 2004 and 2006, respectively, and PhD degree in Engineering Mechanics from Virginia Tech in 2009. Dr. Erturk’s MS thesis on the use of structural coupling and modification techniques for chatter prediction in spindle-tool systems received the Thesis of the Year Award of the METU Parlar Foundation in 2006. In 2008, he became the inaugural recipient of the Liviu Librescu Memorial Scholarship at Virginia Tech for “having the potential for scholarly achievement in teaching and research, and a demonstrated dedication to the welfare and well-being of others.” Dr. Erturk was an Elected Member of the ASME Technical Committee on Vibration and Sound under the Design Engineering Division (2011-2014, 2014-2017), and is an Elected Member of the ASME Adaptive Structures and Material Systems Branch under the Aerospace Division (2011-present). He was also the Founding Chair (2012-2014) of the ASME Energy Harvesting Technical Committee. He served on the organization, program, or technical committees of various ASME conferences (SMASIS, IDETC), SPIE Smart Structures/NDE conference, and more recently, PowerMEMS and IEEE Sensors conferences. He established the Energy Harvesting Symposium of ASME SMASIS in 2012. He is currently the SPIE Smart Structures/NDE conference chair for Active and Passive Smart Structures and Integrated Systems (2018-2019), and he was the chair of the Mechanical Vibration and Noise Conference of ASME IDETC (2018). Dr. Erturk is a recipient of the prestigious NSF CAREER Award (2013-2018) in Dynamical Systems. He received the 2015 ASME Gary Anderson Early Achievement Award of the ASME Aerospace Division that is granted to a “young researcher in his/her ascendancy whose work already had an impact in his/her field within Adaptive Structures and Material Systems.” He also received the 2016 Young Scholar Award (junior faculty level) of TASSA (Turkish American Scientists and Scholars Association). More recently, he was named the recipient of the 2017 ASME C.D. Mote Jr. Early Career Award by the ASME Technical Committee on Vibration and Sound for “demonstrated research excellence in the field of vibration and acoustics.” He was elected a Fellow of ASME in 2017 and a Senior Member of SPIE in 2018. Dr. Erturk received various mentoring and teaching awards, including Sigma Xi Best Thesis Advisor Awards, Thank a Teacher Certificates, and more recently the 2016 Class of 1940 Teaching Effectiveness Award. He was also the 2012 Class of 1969 Teaching Fellow and the 2018 Hesburgh Award Teaching Fellow.